THE CT JUDICIAL BRANCH FAMILY CIVIL INTAKE FORM: IS IT A PATRIARCHAL TOOL OF OPPRESSION! *Ms. Doreen Ludwig, author of "Motherless America" provided the original inspiration for this article as well as a considerable amount of the material included in the article. The Divorce in Connecticut website would like to acknowledge Ms. Ludwig's outstanding contributions on behalf of Protective Mothers and their children. This website has often spoken about the fatherhood funding provided by the Federal Department of Health and Human Services which has been pouring into the States by the billions and billions of dollars. We have tracked how much of that money has been spent supporting abusive fathers in their custody battles in CT Family Court. In the early days of spending on fathers, the CT Judicial Branch took on the development of the Family Civil Intake Screen, a form which Family Services now uses to screen people when they apply to them for services. The CT Judicial Branch is incredibly proud of this form. In fact, this Intake Screen has been shipped around as a model of excellence to other State Family Court systems throughout the country. CHANGES TO CT PRACTICE BOOK SEC. 25-60 RE FAMILY SERVICES EVALUATIONS PUT LITIGANTS AT RISK! "(d) The file compiled by the Family Services Unit in the course of preparing any mediation report or conflict resolution conference report shall not be available for inspection or copying unless otherwise ordered by the judicial authority. The file compiled by the Family Services Unit in the course of preparing an evaluation or study conducted pursuant to Section 25-61 that has been completed and filed with the clerk in accordance with subsection (b) shall be available for inspection only to counsel of record, guardians ad litem, and the parties to the action to the extent permitted by any applicable authorization for release of information; and further provided that copies of documents, notes, information or other material in the file shall only be provided to such individuals if they make the request in writing and certify that it is requested for legitimate purposes of trial preparation and/or trial proceedings in the case in which the evaluation or study was filed. For purposes of this section, the word ‘‘file’’ shall include any documents, notes, information or other material retained by the Family Services Unit in any format. (e) Any information or copies of the file disclosed pursuant to this section shall not be further disclosed unless otherwise ordered by the judicial authority or as otherwise authorized in this section." *In other words you can be subjected to endless, unnecessary obstruction to your access to vital evidence in your case. While issues of confidentiality regarding certain documents is important, I think the wording of this revision is so careless it could end up restricting family court litigants from accessing important information they need for their own cases. If the purpose of this revision is to safeguard confidentiality, it must be rewritten to ensure that it does not inadvertently end up cutting off the parties themselves from being able to review important documents in their cases. As it looks now, the way this revision is worded, the latter could very easily happen. UPDATED "FREQUENTLY ASKED QUESTIONS" SECTION IN FAMILY MATTERS! NEW PROPOSAL FOR CONNECTICUT FAMILY COURT REFORM! I am writing to you to share with you my ideas about how to improve the Connecticut Family court system and to make the divorce/custody experience a healthier one for everyone involved, and also make it more effective and efficient overall. I would appreciate any feedback on my ideas or assistance in growing these ideas into a bill. 1. We need effective Parenting Education Classes, and we need to encourage parents to attend them. The current Parenting Education Classes that are required for divorce should be improved and extended. The classes need more in-depth explanations of the impact that parental conflict has on children and the parents. I also feel that all parents who are engaged in a contested divorce with children or who are involved in the custody process need to be required to engage in co-parenting therapy. Such co-parenting therapy should extend into the whole time the parties are engaged in the court proceedings. I also feel that the loop holes that allow a parent to opt out of the requirement to take a Parenting Education Class needs to be tightened and monitored closely. The court should make it a priority to ensure every parent is reminded/educated on the potential impact their legal proceedings can have on them and their children. This will help motivate and those encourage parents who are able to develop insight through the Classes about the effect of their behavior on their children to do better. For those who need assistance, it will keep these parents focused on doing what is best for their children and themselves which will minimize the negative impact that conflictual parental court proceeding have on children and parents. In the end, good attendance at the Parenting Education Classes will make both children and parents healthier. This will help the court system operate more effectively and efficiently, saving time and money, because it will be less bogged down by motions and cases where parents are not focusing on what is best for their children and themselves. It will help prevent, what is unfortunately too common, situations where parents are tying up the court by using it for revenge. I base this recommendation on the simple premise that the natural "normal" and healthy human state allows for cooperation and compromise, particularly in regards to making decisions about children. Along the same lines, anytime parents can not communicate and develop an agreement, this is an indication that there are underlying "problems" that need to addressed. And as long as these root issues are not addressed than the conflict will continue, despite any well meaning court order or GAL intervention, etc. 2. Children should receive counseling if their parents are engaged in high conflict divorce proceedings. Children also be required to receive therapeutic support the whole time their parents are engaged in contested court proceedings. Whenever there is conflict between parents, a child will be caught in the middle and this will absolutely cause painful feelings that need to be addressed immediately or these feelings will have a residual effect on the child. Psychological research has shown that the quicker the support a person with emotional/mental issues receives, the more effective the help. The therapist who is assigned to support the children is not only a person who helps the children process and manage their feelings, this person can also be an advocate for the child, once again, helping everyone involved keep the child's best interest as a priority. I base this suggestion on the simple premise that when a child is experiencing additional negativity in her life, then she needs additional positive support to heal from it and prevent it from becoming a residual issue. 3. Family Relations Counselors should be required to attend CEU training. I recommend that anyone involved, working for, or contracted by the Family Court system be required to attend CEU training, particularly in regard to sensitivity/psychology/child development/human service classes, with built-in incentive programs that reward healthy and timely handling of cases to help them also stay focused and motivated to keep children's and parent's best interest as top priority. I also recommend some sort of moral boosting stress reduction initiative be implemented in the Family Court system This will help combat the apathy and corruption that is an epidemic in the Family court system. It is hard for Family Court workers to do their jobs properly if they are stressed out and disconnected from the consequences of their actions. And once again, whatever training they receive during the education is not effective to prevent apathy and corruption from seeping into the system. They need constant reminders as we all do. I base this suggestion on the fact that the only way to truly improve interactions between people is to ensure that both parties are getting their needs fulfilled. Parents need help and support to focus on what is best and so do the workers. I think this idea will help make the Family Court reforms more palatable to all involved. I welcome additional thoughts and responses to this proposal. Please leave your ideas in the comments section below. Section 25-61 of the Connecticut Practice Book 2012 states: "The Family Services Unit shall, at the request of the judicial authority, provide assistance with regard to issues concerning custody, visitation, finances, mediation, case management and such other matters as the judicial authority may direct." In the course of this work, the Family Services Unit uses the family relations counselor who, according the the glossary contained in the "The Divorce Handbook" provided by the Judicial Branch, "mediates disagreements and negotiates agreements in divorce cases." 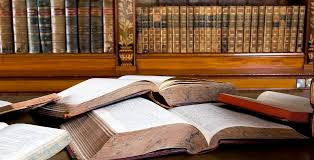 And, as the Handbook further states, echoing the mandate of Section 25-61 of the Practice Book, "At the request of the judge, a family relations counselor may evaluate a family situation by interviewing each parent and the children in the family and writing a report for the judge, making recommendations about custody and visitation. Works at the branch's CSSD Family Services Office." Again, I am reading a brochure produced by the judicial branch and it further defines the role of family services stating that it "is to assist the Court and clients in the timely and fair resolution of family and interpersonal conflicts through a comprehensive program of dispute resolution services, evaluation and education." What I am not seeing is any mention of who pays for this and how? If these services are available for free, and I think the vast majority are, why didn't my attorneys let me know about it? And why did I end up paying for a private evaluator to the tune of thousands and thousands of dollars when these evaluative services were apparently available for free at Family Services? Is this another example of plain old stupid going on in family court, stupid happening because of stupid, stupid, money grubbing attorneys? For those of you who are victims of domestic violence, under these FAQs you can see that services are available to you under Question #4 which has the heading "Criminal Court". In accordance with Connecticut State law in regard to domestic violence, the only DV that family services recognizes is physical violence. If there has been verbal or economic abuse, you will have a much more difficult time having it recognized in any way. If you are going to say, "I'm a victim of domestic violence." the question you are going to get back is, "When has your ex been arrested?" If you have no answer to that question because your ex has not been arrested because you cannot be arrested for verbal and economic abuse or for controlling behavior, then you will find little recognition or acknowledgment of the fact that you have been abused. In fact, you could end up being penalized for even mentioning it because such non physical abuse will come across as simply a "he said, she said" matter or an attempt on your part to be vindictive. When you are referred to Family Services, the first thing they will do is meet with you to conduct the Family Civil Intake Screen. This involves responding to a series of questions "to identify the level of conflict and complexity of issues between the parties" so that the division can determine what your needs are. Interestingly enough, as a result of using this screen a Study conducted on behalf of the CSSD and published in 2009 has shown that certain factors are generally associated with high conflict divorce. Specifically, according to the Study "Mental health and domestic violence issues were highly related to the complexity of a case. Disparity of facts/views resulted most often in comprehensive evaluations being ordered." According to the website, the screening "includes questions about current court orders, past and present parenting concerns, and level of conflict between the parents." The intention of the screening process is triage, i.e. to identify early on what services you case would benefit from receiving and directing you straight to them, which the Study indicated was the most effective and economical approach to providing services. The Family Services Division provides considerable services to clients: Alternative Dispute Resolutions Services, Evaluative Services, and Education, as well as assistance in the disposition of family violence criminal cases (i.e. ones that have ended up in criminal court as opposed to ones where there were accusations which did not result in criminal charges.) Again, there is a big, big difference as to how cases where there are criminal charges and those where there aren't criminal charges are handled and you have to remember that when you are dealing with family services, as I have said. Charges of abuse where there is no criminal case will be viewed with skepticism. 5. Pre-trial Mediation Settlement Services. And then finally there is Education which involves the CSSD overseeing and managing the Parent Education Programs that are run throughout the State. In criminal cases, the Family Services Division provides "through a comprehensive assessment and intervention plan to prevent, reduce, and stop the frequency and severity of violence against victim/complainants." Both Mediation and Conflict Resolution Conferences are confidential. But still I would get verbal assurance of that every time you go to a session. It never hurts. Just this one disclaimer: as I write this article, I'm just reading off the brochures. I make no comment in regard to the quality of services. As a matter of procedure, when you come to trial court, the first thing litigants are asked to do is sign up for a meeting with family relations to see if you can negotiate a solution to your problem in advance of standing before the judge. Thus, if you do it yourself as a pro se party, or if you watch what your attorney is doing, there is a yellow sheet of paper that you hand in to the clerk in the courtroom where you are going to have your hearing. Among other things, this paper asks whether you have met with family relations and whether you have come to any agreement. You are supposed to respond "yes" or "no" to that question. Marshalls in the courtroom regularly walk around and check with litigants to see if they have already gone to family relations. If they haven't, they will direct you there. Of course, I've looked at some of these ladies who are family relations counselors and they look as though they have been hit by several trucks, so I am not sure how capable they would be of helping you out, but officially this is what they are supposed to do, so I am letting you know. The advantage of working with private mediators is that they are not as overwhelmed simply by the massive numbers of individuals requiring help. The down side is that private mediators cost considerable sums of money. And, of course, there is the whole other issue of whether mediation of any kind is called for under circumstances where one of the parties is an abuser. That is an entirely different conversation which would be extensive and detailed and goes beyond the scope of this current blog. I would be interested in hearing what your experiences are. Have you benefited from family services? Or do you have a nightmare story to tell!